In the televised ESPN main event of a five bout card promoted by Bob Arum 's Top Rank and Joe DeGuardia Star Boxing, world ranked Junior Middleweights Delvin Rodriguez and Pawel Wolak battled to an exciting ten round majority draw in front of a capacity crowd at Roseland Ballroom in New York City. Rodriguez was neither riled nor intimidated by the many Polish fans waving flags and booing jeers, but he had his hands full from the opening bell. Rodriguez had height and reach advantage, but fought the entire bout as a side to side counterpuncher at close quarters, relying instead on power punching to impress the judges. Wolak fought the entire bout coming forward with incredible pressure in the style of Rocky Marciano, coming forward all the way. However, despite having the consistent offense, Wolak did not punch with power and Rodriguez was never in trouble. Rodriguez did not run or clinch, to his credit, and kept the bout extremely close on the scorecards with intense power shots which turned the right eye area of Wolak into a swollen pink grapefruit. While the punches of Rodriguez never bothered Wolak, the visual damage was obvious and Wolak's grotesque eye may have influenced the scoring. The ring was not cut off, though at times Delvin countered off the ropes, or battled Wolak in center ring in a telephone booth. The bout was exciting, and extraordinary for the world class level it was fought. Rodriguez was fighting for his life, and fought this bout much like Ishe Smith did when Smith beat Wolak in 2008, letting Wolak come at him aggressively and countered with heavy power shots. For Wolak, a Debrica, Poland native, now fighting out of New Jersey, 29-1-1 (19), it was the first draw of his career since he turned pro in 2004, and ended an eight bout winning streak. For Rodriguez, a Dominican now fighting out of Danbury, Connecticut, 25-5-3 (14), has won only one of his last five bouts, in a streak going back to his 12 round split decision rematch loss to Isaac Hlatshwayo for the vacant IBF welterweight title in August 2009. Rodriguez' close quarters counter fighting style has made his bouts difficult to score, and given him a reputation of a fighter who wins but continually gets robbed. His last several bouts have been too close for comfort in major stakes bouts. The rounds were fought the same. After an even first round, the edge went to Wolak in the rounds which followed on aggression, though Rodriguez clearly won the last two rounds by outworking Wolak on punch volume as well as power shots landed. Most of the rounds, fought at close quarters, fast and furious, were difficult to score. Wolak did not allow Rodriguez to hold, and Rodriguez never tried, resulting in a punch versus counterpunch war which turned referee Steve Smoger into a silent bystander. Celebrities in attendance included former world champions Joey Gameche, Carlos Ortiz and Junior Jones, fighters John Duddy, Sadam Ali, and Patrick Majewski, HBO's Harold Lederman and noted trainer Kevin Rooney Sr. Gameche and Rooney worked the corners of their children in the undercard bouts, both of whom won. 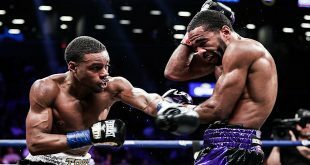 After ESPN went live at 9 P.M., in the ESPN preliminary bout, welterweight Raymond 'Tito' Serrano of Philadelphia, Pennsylvania, went to 16-0 (8), with an eight round unanimous decision over Daniel Sastre, Highland, New York, fighting out of Harlem, now 11-4-1 (4). Sastre's problem was not ring generalship. 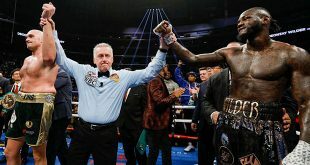 He used his reach and height advantage to remain out of Serrano's range for most of the bout, and tied him up several times, forcing referee Wayne Kelly to spend the entire bout separating the two contestants. 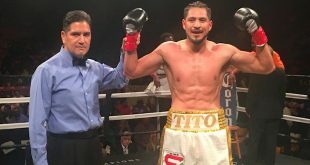 Serrano was the more confident of the two, coming forward as the aggressor and wanting it a bit more, winning the bout slightly on punch volume and jabs landed. Neither fighter seemed inclined to floor the gas pedal. Serrano indicated after he had hoped for a better fight. Sastre indicated one of his hands was injured during the bout, which might account for his holding strategy. Too much clinching eventually put both fighters on the floor Greco-Roman style.